Here is salad #4 in my “A Salad Each Week” series. 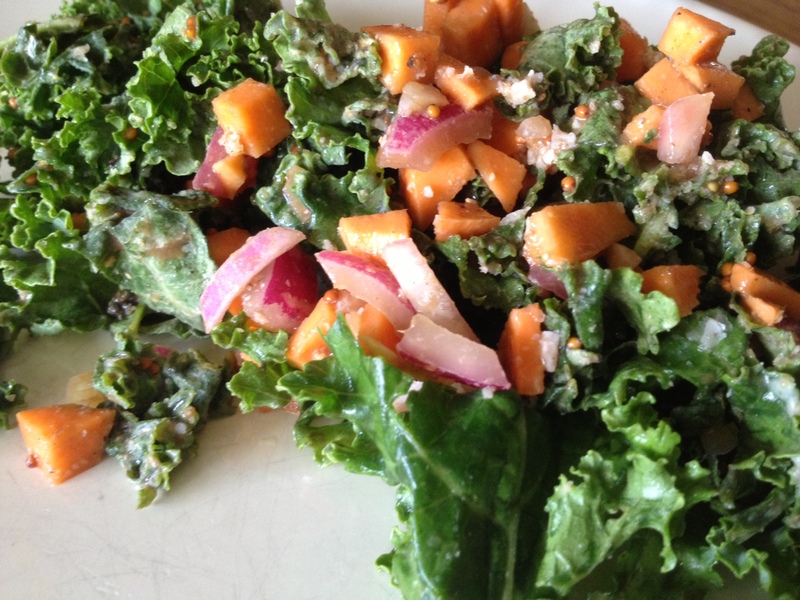 This super healthy salad can be dressed and saved for a few days since the kale and raw sweet potato actually need time to absorb the dressing so they are tender when eaten. Make a large batch, separate into individual containers, and you have instant meals to pull out and go! Place coconut oil, vinegar, lemon juice, mustard, garlic and S&P into a bowl and whisk. Add in kale, sweet potatoes, and onion and toss to coat. Place in fridge to chill for at least a few hours. Enjoy!